The Project: A content hub that hosts useful articles on the subjects of credit, debt, identity fraud and money management. 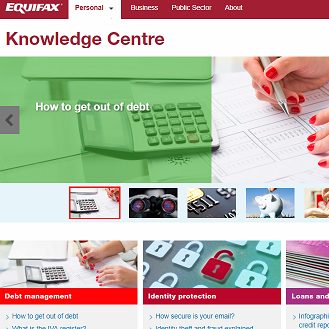 As well as providing educational content for existing customers, the Knowledge Centre ranks for hundreds of important long-tail search terms around credit, debt and finance. I led both SEO and editorial strategy for the Knowledge Centre, as well as consulting with the development team on UX issues such as layout and use of imagery. I personally contributed over 50 articles to the hub, as well as editing and generating ideas for dozens of other pieces. I also helped develop a tone of voice that had to tread a careful line between informative and advisory, to ensure compliance with FCA regulations. The success of this editorial approach greatly reduced the amount of amends to article, as well as the time required for sign-off, improving turnaround and productivity. Results: An increase in visibility of 17 to 383 over the course of 18 months (source: Searchmetrics.com) Resulting in a huge increase in organic traffic arriving to the site.